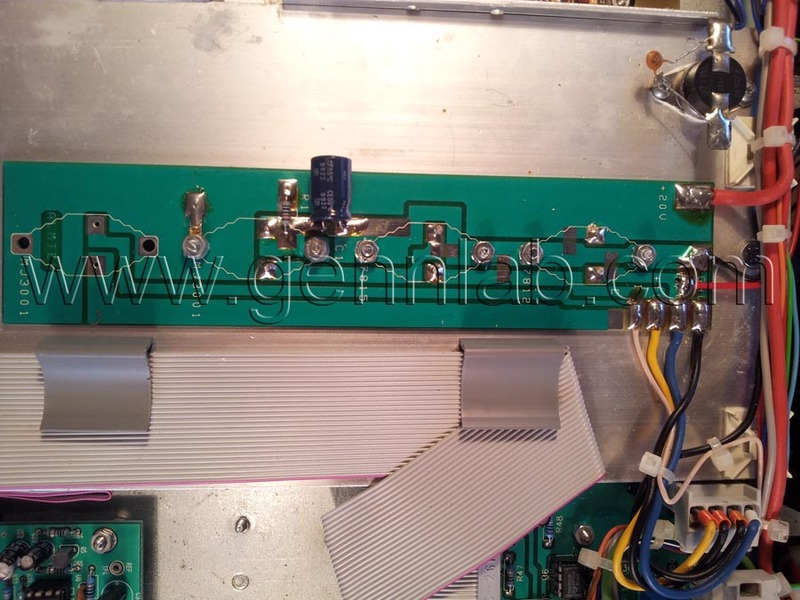 The TEX100 is an exciter working in the 87.5 to 108 MHz band, programmable in steps of 10KHz. Its power output is continuously adjustable from 5W to 100W into a 50 Ohm load and it’s contained in a 19” rack mountable 3HE case. 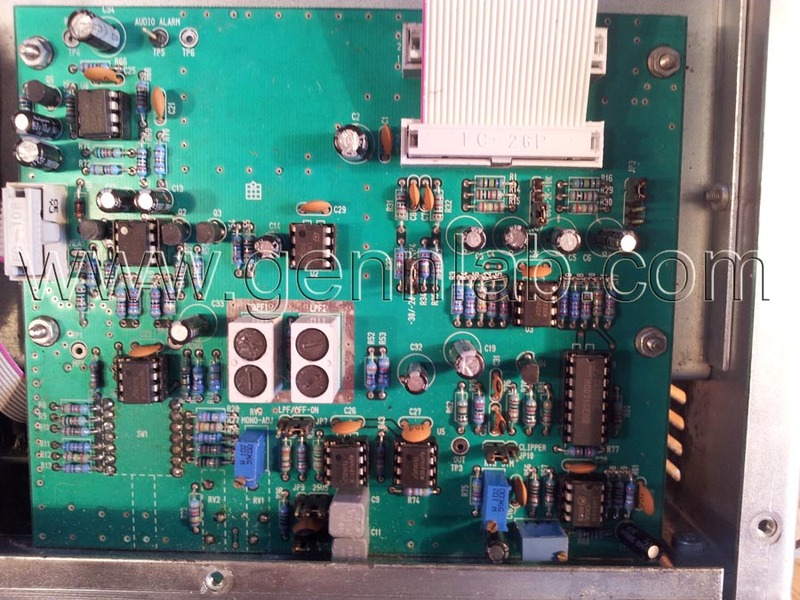 The power output control, audio input level control and analog meter for the measurement of operating parameters, are all mounted on the front panel, beyond to the selector of the working frequency and to various LED. The line power, audio input, RF output and telemetry connectors are mounted on the rear panel. This device is present in two version: the mono (TEX100) and the stereo version (TEX100/S). The TEX100 incorporates a stereo coder which guarantees excellent stereo separation together with low harmonic distortion (only for Stereo version). It also accepts two SCA signals. A front panel switch allows stereo operation (only for stereo version) or "mono/ mpx" operation which excludes the stereo encoder and uses the "right" input as the mono input and the "left" input as the wideband composite input (MPX). The TEX100 (Mono/MPX version) can be used for monophonic trasmission or, with an external coder stereo, for stereophonic transmission. (Radio Data System) transmission or SCA. The specification features low audio distortion and intermodulation figures (typically 0.03%) and a high signal-to-noise ratio (typically -80 dB). 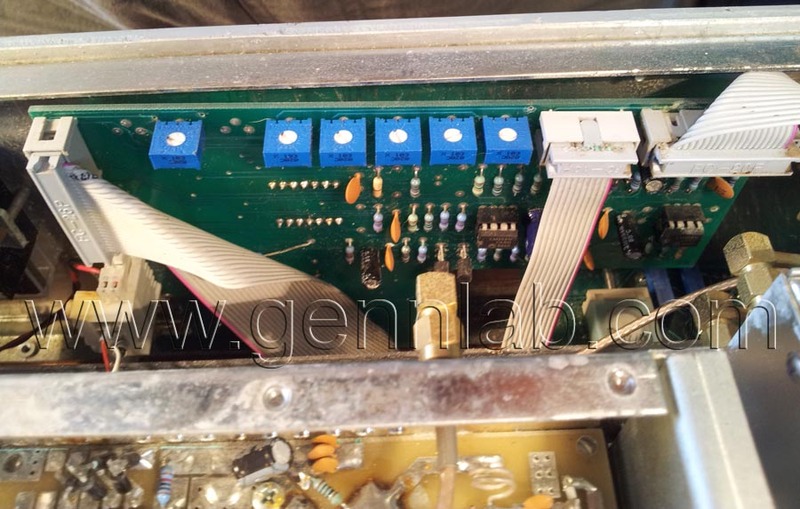 A voltage selector on the transformer primary allows a variety of supply voltages to be used. 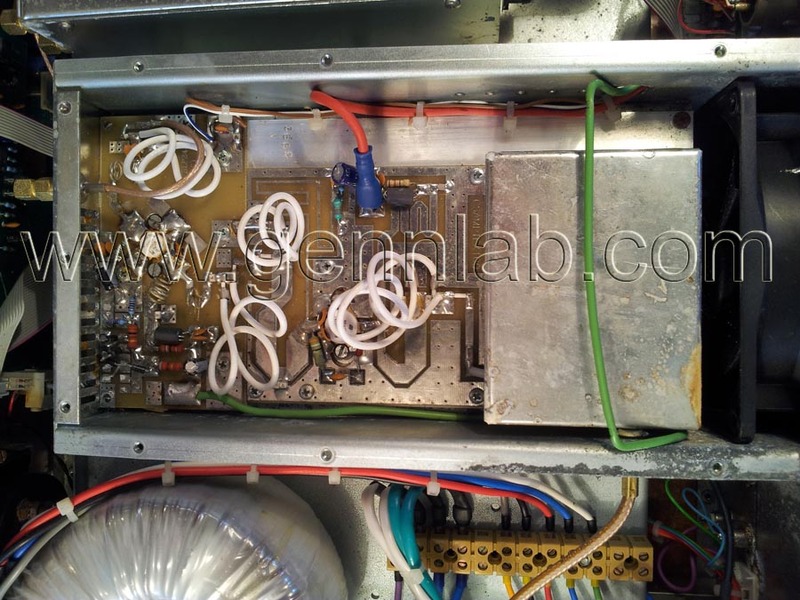 The operating parameters of the exciter can be monitored using the analog multimeter situated on the front panel. The parameter to be measured is selected by the rotary selector. The frequency control allows frequencies to be selected in steps of 10KHz (note that the actual norms in some countries preview the obligation of transmission on channels with steps of 100 kHz; for this reason, the TEX100, comes supplied on demand with step of selection of frequency of 100 kHz) . Three red alarm LEDs indicate PLL unlock , excess SWR on the output and the excess of temperature, and the shutdown condition, programmed by a remote command (interlock). Three green leds indicate the presence of +12V, +15V and +28V voltages which are used to power the various cards inside the exciter. In the stereophonic version, are present two switches to allow the selection between Mono/MPX and Stereo functions and to disabled the 19 KHz subcarrier from the coded signal. For both the models, on the front panel is present a selector for the audio input level adjustment. 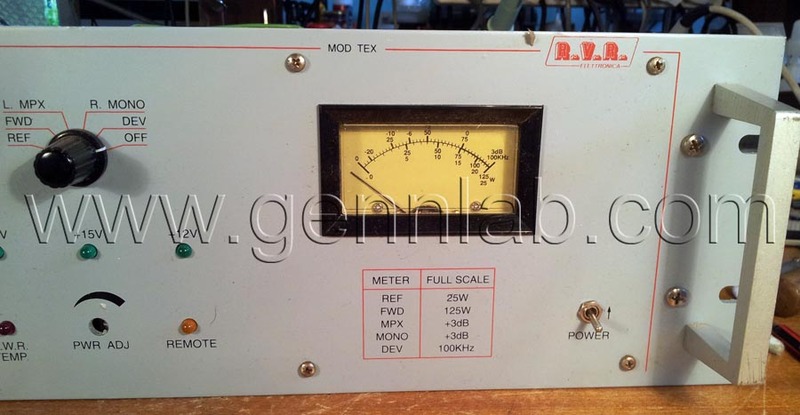 These can be regulated on fixed values of -9, -6, -3, 0 o +6 dBm (for 75 kHz of deviation), or a position can be selected where the inputs can go from -12 to +9 dBm and the regulationfor the correct level of the deviation comes made through two trimmer accessible from the panel. The operating frequency is governed by a thermally-compensated, reference oscillator working within a phase-locked loop (PLL). The TEX100 reaches frequency lock within a maximum of 30 seconds. external), or from temperature excess. 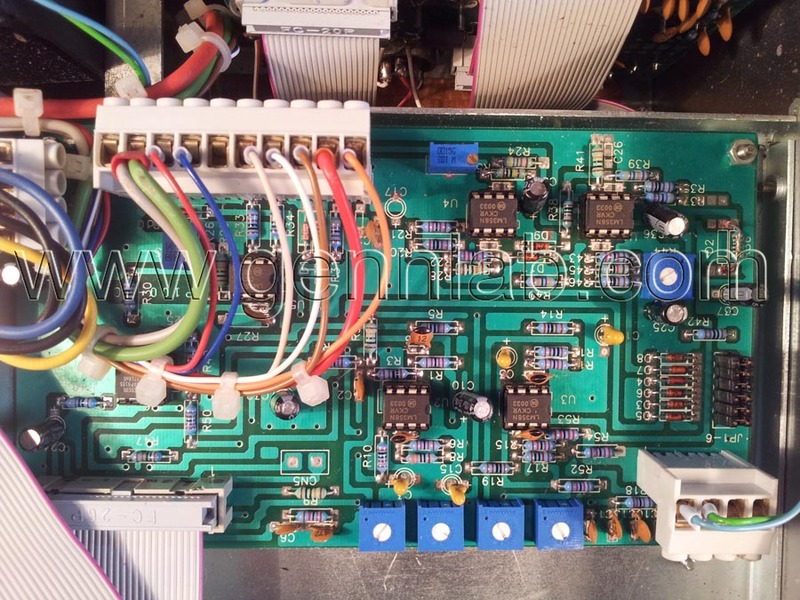 The control circuits allow automatic control of output power(internal and external), maintaining the chosen power level across the entire operating band. Furthermore another circuit protects the final stage against excessive VSWR or short circuits and excessive temperature. 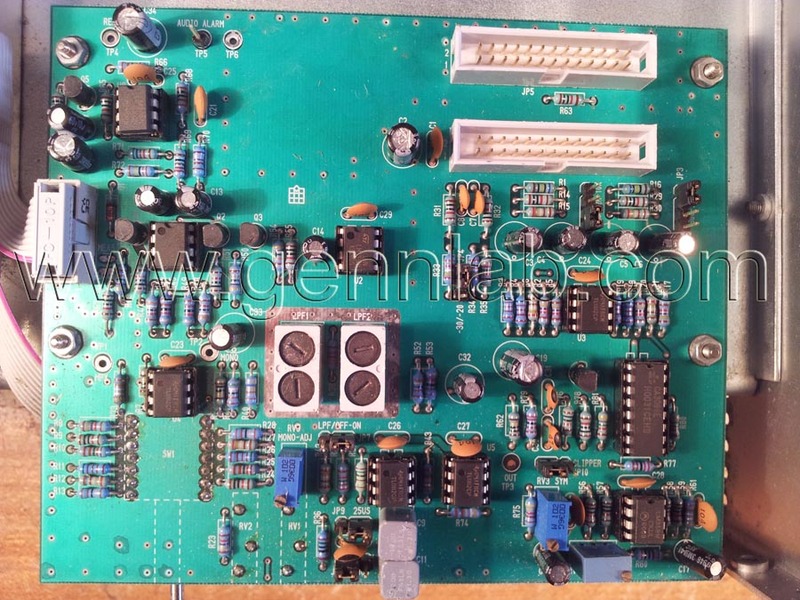 Then, there are other protection circuits that allow to limit the maximum output power and to protect the equipment against a power supply's overvoltage. output up to 100 watts across the entire FM band. connected directly to an antenna: the harmonic emissions are reduced under the levels allowed from the international norms, like CCIR or FCC. performed by modules that are then interconnected either directly (the male connector of one module plugs in the the female connector of another one) or by means of connectors-ended cables. This design allows easy servicing and replacement of the single modules. R.V.R. TEX100 FM Exciter. Front Panel, left. R.V.R. TEX100 FM Exciter. 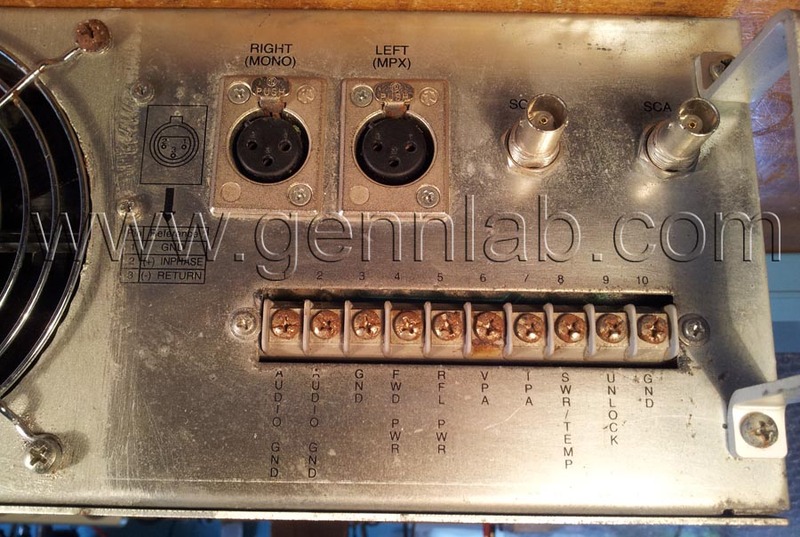 Front Panel, right. R.V.R. TEX100 FM Exciter. Rear Panel left. R.V.R. TEX100 FM Exciter. Rear Panel, right. R.V.R. TEX100 FM Exciter. 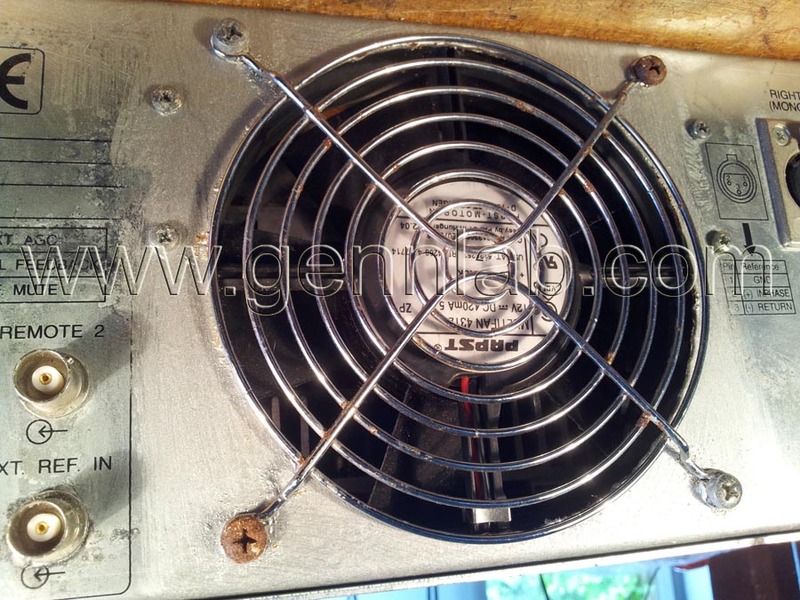 Rear Panel, Fan. R.V.R. TEX100 FM Exciter. Stereo Coder Card. R.V.R. TEX100 FM Exciter. Stereo Coder Card. Disconnected. R.V.R. TEX100 FM Exciter. 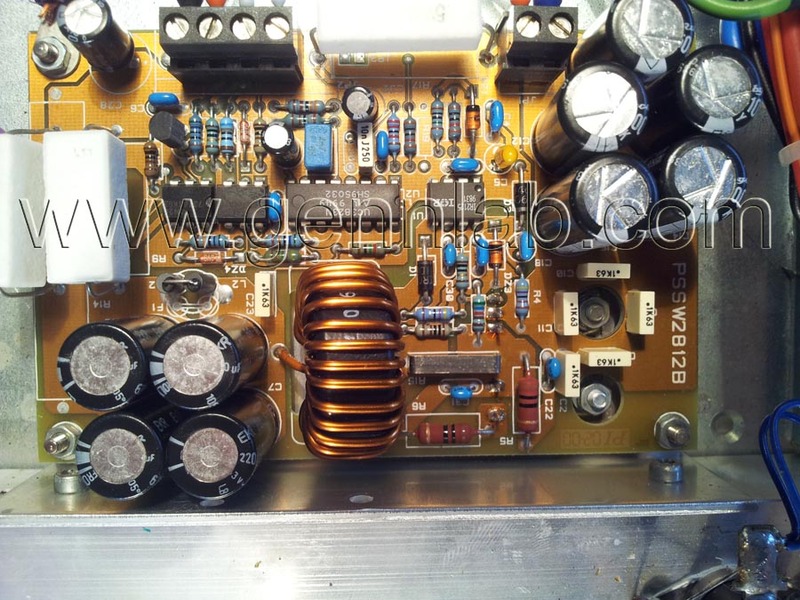 100 Watt RF Broadband Power Amplifier. R.V.R. TEX100 FM Exciter. Power Supply Main Card. R.V.R. TEX100 FM Exciter. 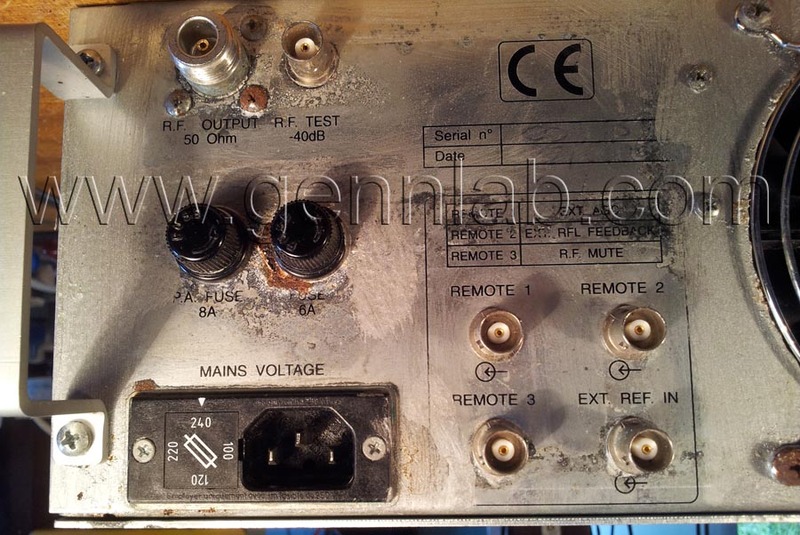 +28V Switching Power Supply. R.V.R. TEX100 FM Exciter. Alarms Card. R.V.R. 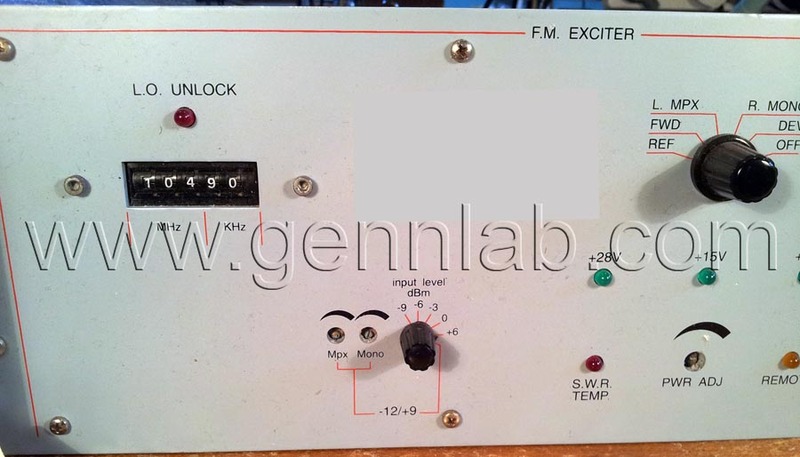 TEX100 FM Exciter. Meter Card.